"ThermaCELL makes LED Patio and Outdoor Lanterns equipped with the most effective, environmentally-safe, odor-free Mosquito Repellent on the market. ThermaCELL products create a bug free zone with an all natural extract, protecting you, kids, guests, food and pets all without spraying chemicals on your skin. The lantern does not smell, is not harmful to humans, animals, insects, or the environment, keeping your deck or campsite light-up and skin bite free." Playing outside with my son in the summer can be quite painful where we live - all due to the mosquitoes! We use bug spray, but it never seems to really work. Not to mention, it smells terrible and leaves us feeling sticky! When I had the chance to review the ThermaCELL Mosquito Repellent Patio Lantern, I jumped at the chance! As soon as we received the lantern, I put it together (which is extremely easy) and put it to use immediately. We turned it on outside while we were getting ready to play, and headed out. Amazingly, neither of us were bitten while we were outside! I truly could not believe it. The Patio Lantern also has 4 LED lights so we were able to stay out a little later than usual and play by the light of the lantern. My family has been thrilled with the ThermaCELL Mosquito Repellent Patio Lantern. I would highly recommend this to anyone who likes to go outside in the summer! BUY IT! 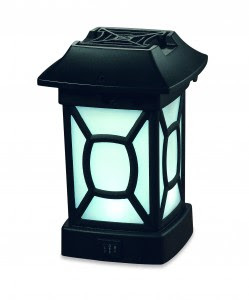 You can purchase your own ThermaCELL Mosquito Repellent Patio Lantern here. WIN IT! One lucky winner will receive their own ThermaCELL Mosquito Repellent Patio Lantern! Tweet about this giveaway! 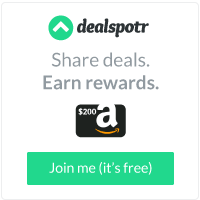 (Leave your Twitter name and a link) You can tweet this daily: “ThermaCELL Mosquito Repellent Patio Lantern giveaway at Opinions of a Moody Mama #giveaway @coopersmommy @ThermaCELLWorld http://tinyurl.com/3bo9nlq "
I am a fan of Thermacell on Facebook. I am following Thermacell on Twitter. I 'like' ThermaCell on Facebook. Liked Opinions Of A Moody Mama on facebook. I like Thermacell on fb. I like them on facebook under Jannie Finn Bryant. Liked on facebook. Thanx for the contest. I liked thermacell on facebook! !